My family is full of motorcycle riders, including my wife, Caroline and daughter, Jeannine. Enter another member of the family in the form of Matt, Jeannine’s boyfriend, who rides a 2008 Yamaha R6s and you’ve got a rolling tribe. My family didn’t start out as motorcyclists. I believe it was my almost crazy obsession with the two-wheeled sport of motorcycling that caused my otherwise sensible wife, Caroline, to take the MSF course in 1995 and trust me to provide her with the constant flow of knowledge necessary to survive riding a machine that seems to conspire at every moment to toss you to the ground. A few years later she became a MSF instructor. (I have been an instructor since 1995). Along came our lovely daughter, Jeannine, who probably assumed every kid’s mom and dad rode motorcycles. After all, there have been stacks of magazines covering every flat surface in the house since she was a baby. Well, Jeannine is no longer a baby (but she’s still my little girl), and she is an accomplished rider in her own right. She works for Twisted Throttle, has just returned from a week long dual-sort trip through Alaska, and has become accomplished enough of a racetrack rider that I hired her as a control rider for Tony’s Track Days. Proud, this father is. Now, she brings a new member to the family. Matt and Jeannine’s first date was a ride, he on his R6 and her on her ZX6R. Love at first sight. I discovered that Matt is a good guy (once I put the shotgun down and gave him a chance). I shouldn’t have worried; Jeannine makes good choices. Caroline has let riding fade a bit more into the background since her many hobbies take her time and energy. However, there is always energy for our annual family motorcycle ride. This year we went back to one of our favorite places on earth: The Blue Ridge Parkway of Virginia and North Carolina. We love the scenery, winding roads, the people and Will Beers, the owner of Willville Motorcycle Camp. Will is one of us…a guy who decided that he wanted to surround himself with mountain beauty and motorcycle riders who share his passion for the sport. 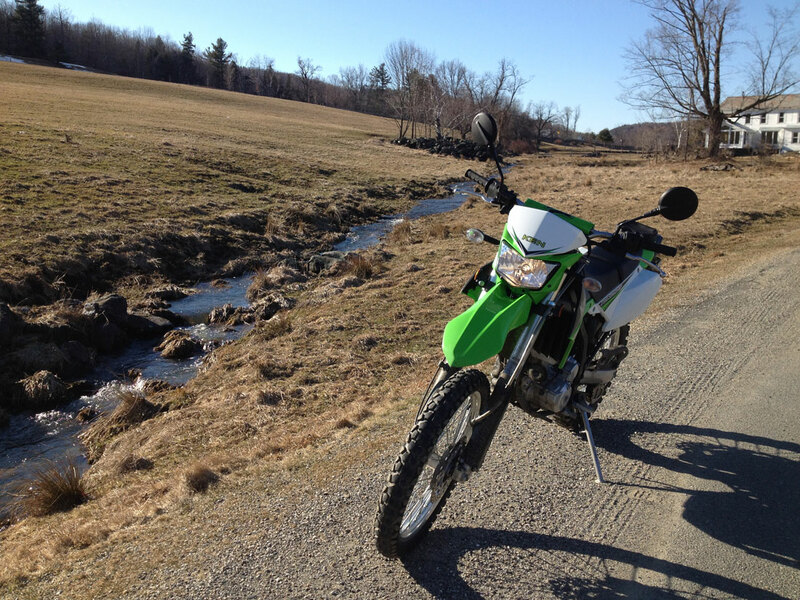 Enjoy the gallery of photos from our 2013 trip to the BRP and stay tuned for more posts about my motorcycling family. Matt and Jeannine heading toward home.